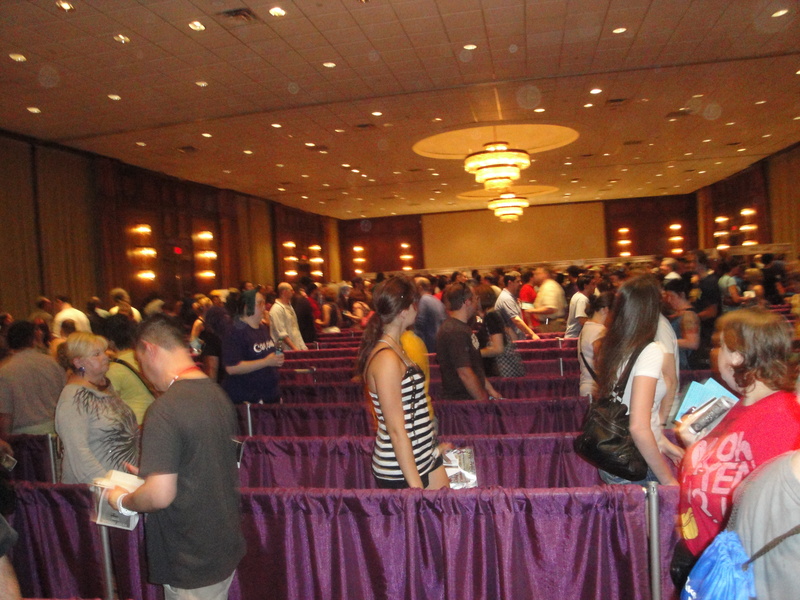 So in my last post I outlined the necessity of arriving at Dragon*Con early so you can get your badge. If you are lucky, as I was this year, you will hit the badge line when the newly-minted, computerized badge-distribution system is up and running and you will get your badge in an hour. This is awesome. 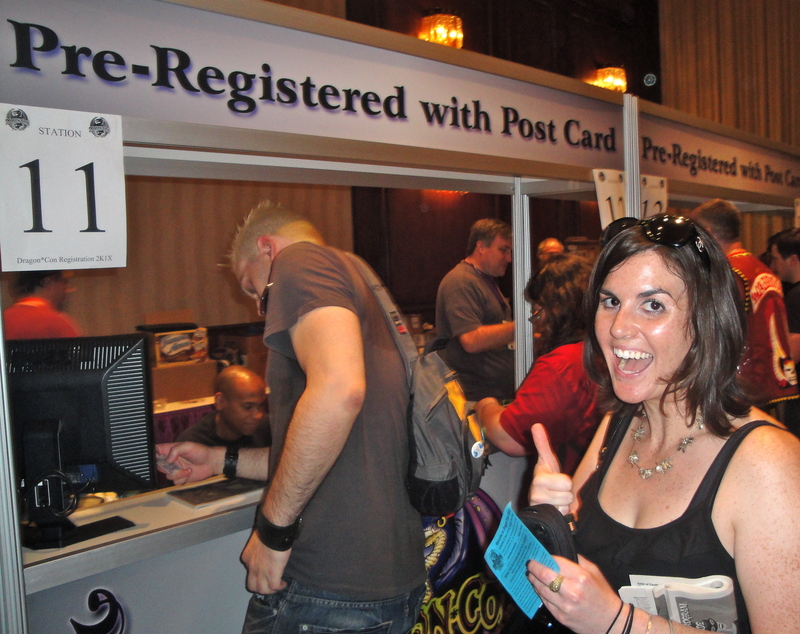 Just to be clear, in the past the badge distribution system was lame and not computerized, leading some people to wait 4+ hours in line to pick up their badges, which is absurd if you think about all the nerds with GIANT TECHNICAL POWERS floating around the convention. The winding snake, normally it is super slow, but this year it moved and moved and moved! Anyways, we got our badges quickly, which left enough time for delicious carbo-loading with pizza and socializing with friends who want nothing to do with Dragon*Con (which, what? why? ), which then left me plenty of time to get back to the convention hotels and meet some new friends.